Whisk together the oyster sauce, sesame oil, sherry, soy sauce, sugar, and cornstarch in a medium bowl, until all ingredients are dissolved. Slice the meat very thinly across the grain into strips and stir into sauce to coat well. Marinate for at least 30 minutes in the fridge. 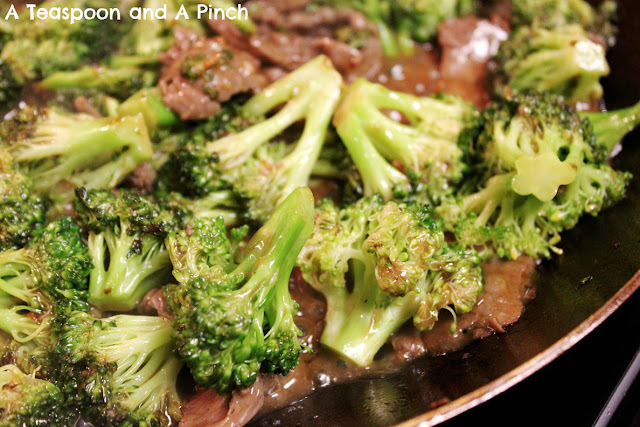 Heat oil in a wok or large skillet over medium-high heat, and stir in the ginger and garlic. Let them sizzle for about 1 minute then remove and discard. Stir in the broccoli, and toss and stir in the hot oil until bright green and almost tender, 5-7 minutes. 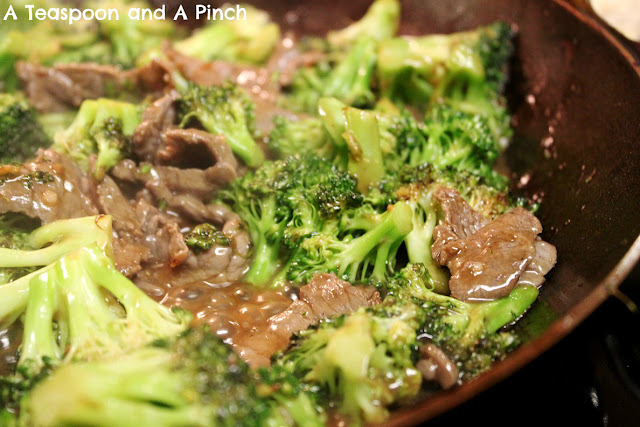 (Optional: Add a splash of broth to steam-cook the broccoli.) 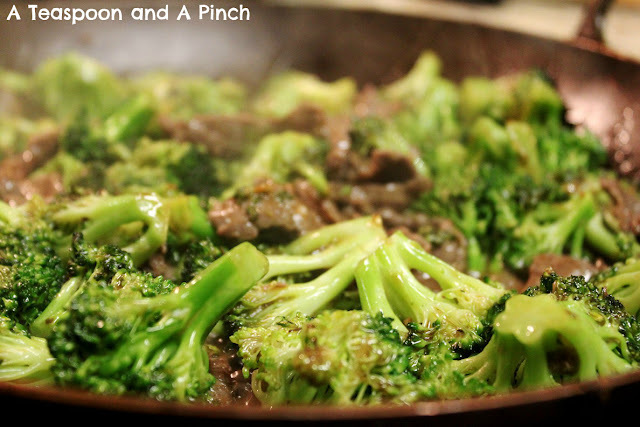 Remove broccoli from the wok and set aside. If wok is dry, carefully add another teaspoon of oil. Add the beef and marinade to the wok and stir and toss until the sauce forms a glaze on the beef, and the meat is no longer pink. Return the broccoli to the wok, and stir until the meat and broccoli are heated through, about 3 minutes. One caveat - I do not cook with tofu (because I have to really limit my soy), so I can't vouch for the cooking techniques above translating straight across. You may need to decrease the marinade and/or cook times. Hurrah for sesame oil! If you click the "asian inspired" label above, you'll see that most of those recipes call for sesame oil; it's so flavorful! 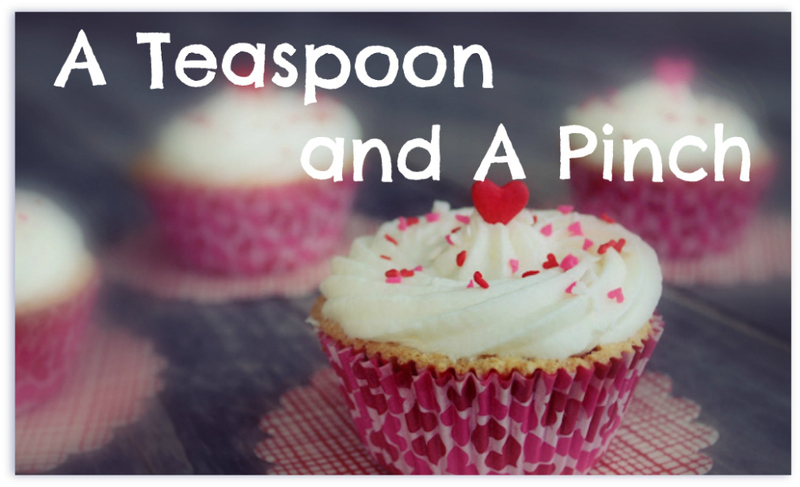 I love you blog and your recipes! 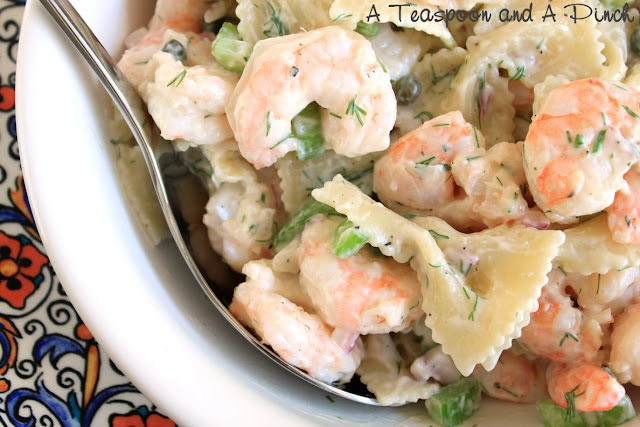 I can't wait to try this next week! Yay! Hope you like it too!